Ford announced it is returning to one of the most prestigious automobile races in the world with its new Ford GT racecar, based on the all-new ultra-high-performance supercar. 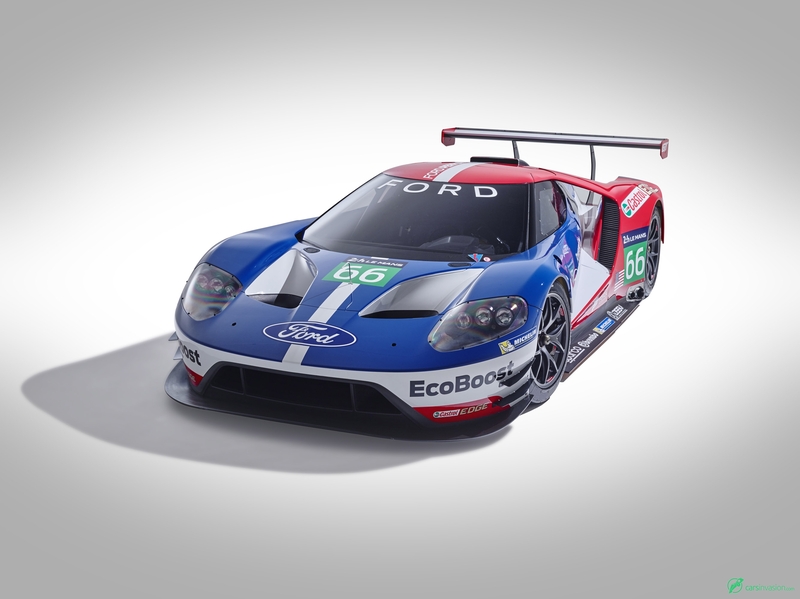 The Ford GT racecar will compete in the 24 Hours of Le Mans - referred to by many as the Grand Prix of Endurance and Efficiency - starting next year. 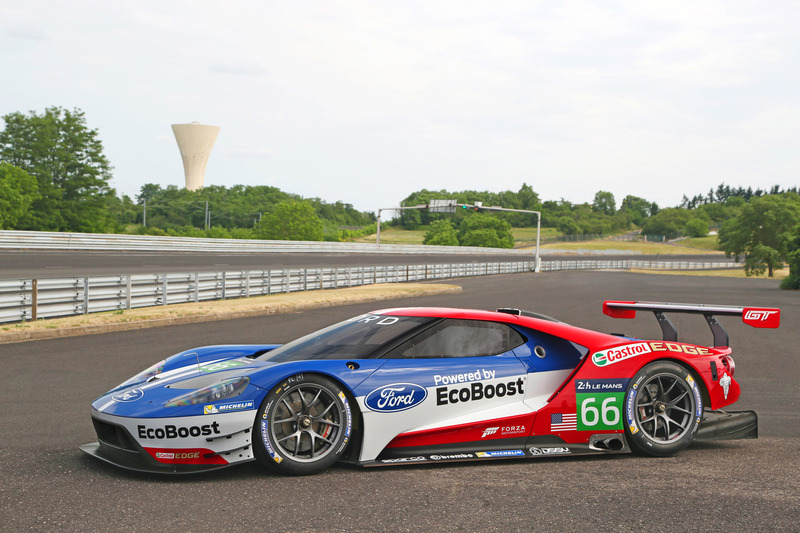 Revealed at the famous circuit in Le Mans, France, Ford GT will compete in the Le Mans GT Endurance class for professional teams and drivers (LM GTE Pro). 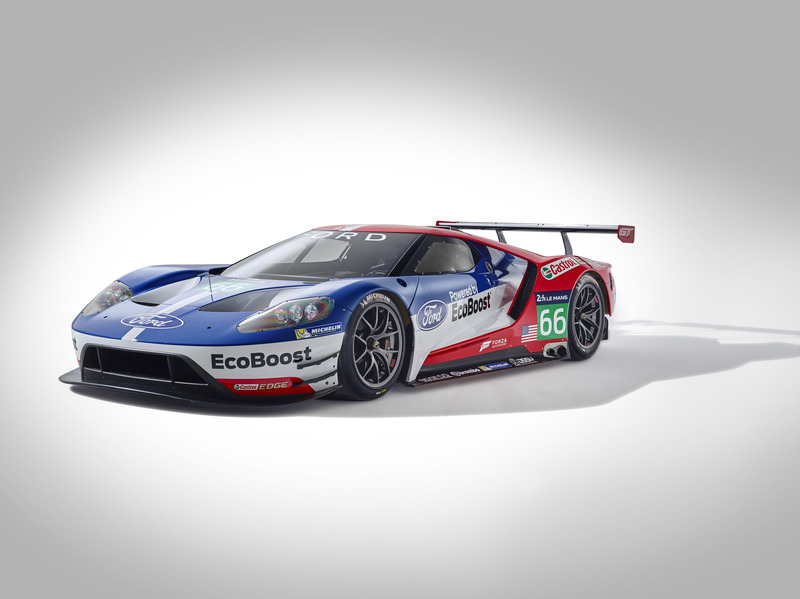 The new racecar - a further proof point of Ford innovation - is based on the all-new Ford GT supercar unveiled in January. Both the production car and racecar will arrive in 2016 to mark the 50th anniversary of Ford GT racecars placing 1-2-3 at the 1966 24 Hours of Le Mans. Ford went on to repeat its victory at Le Mans in 1967, 1968 and 1969. 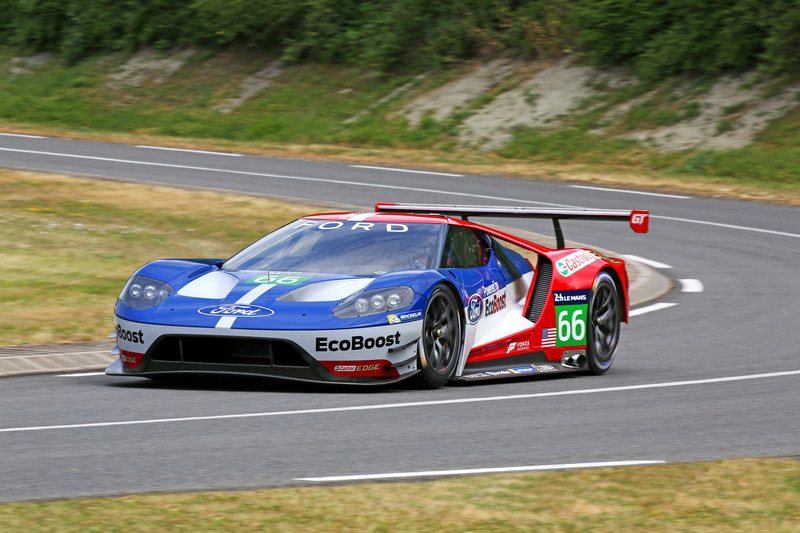 "When the GT40 competed at Le Mans in the 1960s, Henry Ford II sought to prove Ford could beat endurance racing's most legendary manufacturers," said Bill Ford, executive chairman, Ford Motor Company. 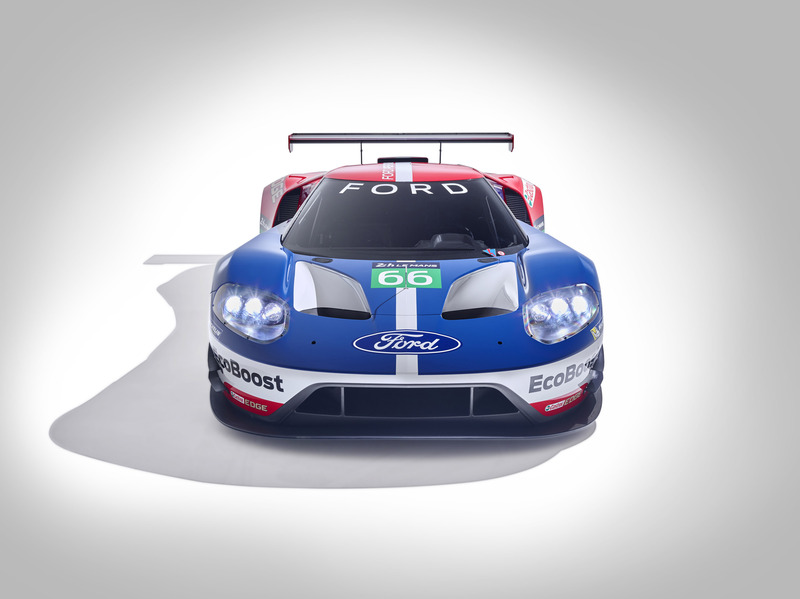 "We are still extremely proud of having won this iconic race four times in a row, and that same spirit that drove the innovation behind the first Ford GT still drives us today." 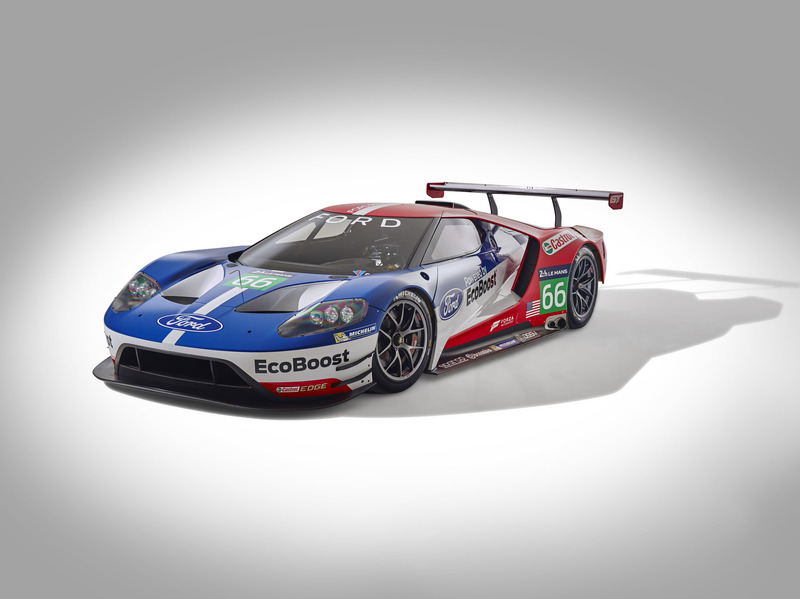 The new Ford GT racecar will run the full 2016 schedules of the FIA World Endurance Championship and TUDOR United SportsCar Championship, making its competition debut in January 2016 in the Rolex 24 At Daytona, Florida. 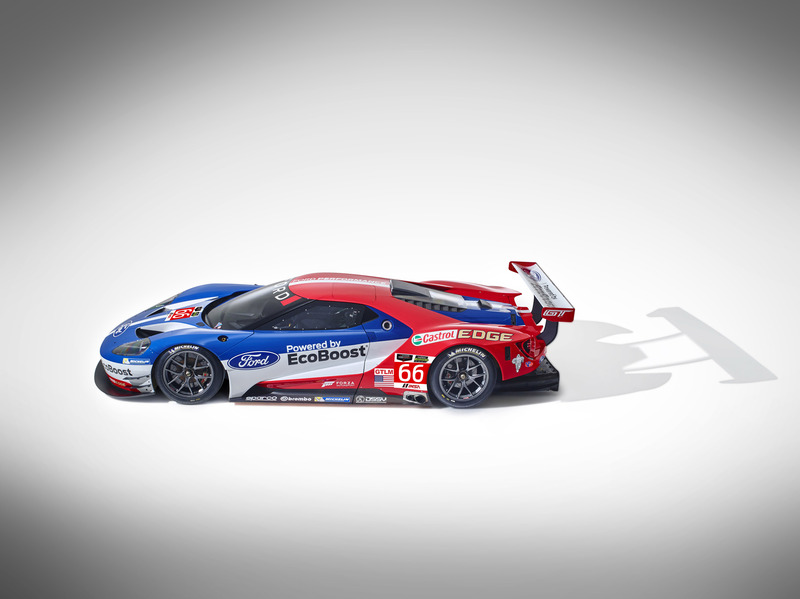 The two Ford teams will be operated by Chip Ganassi Racing with Felix Sabates (CGRFS). Both series teams intend to compete with a four-car effort at Le Mans. Drivers will be announced later. The performance segment is a growing business for Ford, as the company recognises its customers' desire for vehicles that offer excellent fuel economy, leading technology and a great driving experience. The Ford Performance line-up includes Ford GT, Focus RS, F-150 Raptor, Shelby GT350 and Shelby GT350R, Focus ST and Fiesta ST.
"Ford remains focused on three priorities globally - accelerating our One Ford plan, delivering product excellence with passion and driving innovation in every part of our business," said Mark Fields, Ford Motor Company president and CEO. "All three came together to create the new Ford GT. We also know from our rich history in motorsports that world-class competition is a great incubator for even further product innovation." 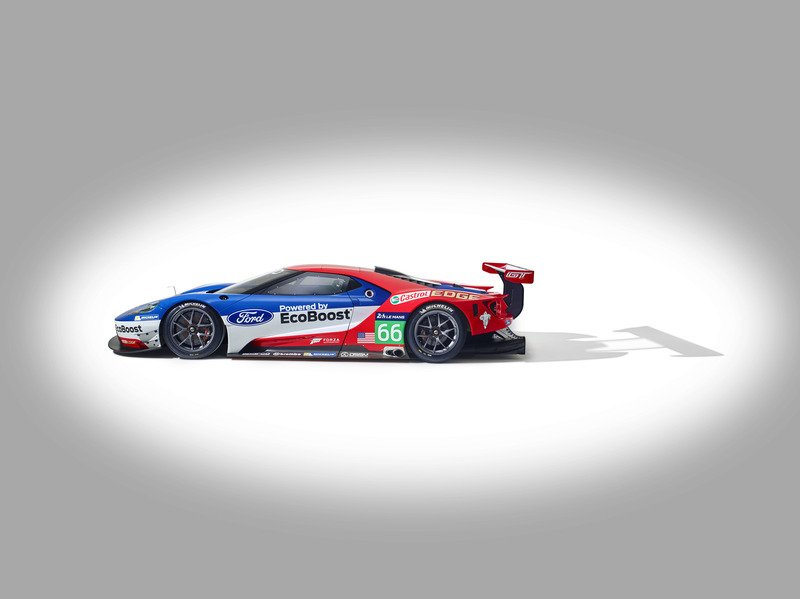 The Ford GT racecar features a number of innovations Ford believes will not only make it competitive in LM GTE Pro, but ultimately positioned to provide benefits to each vehicle in the Ford line-up. These include state-of-the-art aerodynamics to deliver outstanding levels of downforce for improved stability with minimal drag, advanced lightweight composites featuring carbon fibre for an exceptionally rigid but light chassis, and the power and efficiency of EcoBoost technology. "As we developed the Ford GT, from the outset, we wanted to ensure we had a car that has what it takes to return Ford to the world of GT racing," said Raj Nair, Ford Motor Company group vice president, Global Product Development and chief technical officer. 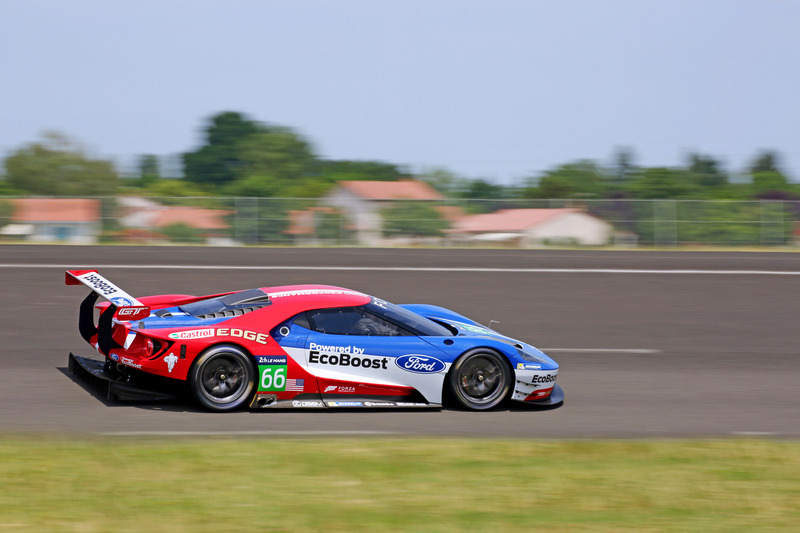 "We believe the Ford GT's advances in aerodynamics, light-weighting and EcoBoost power will make for a compelling racecar that can once again compete on a global stage." 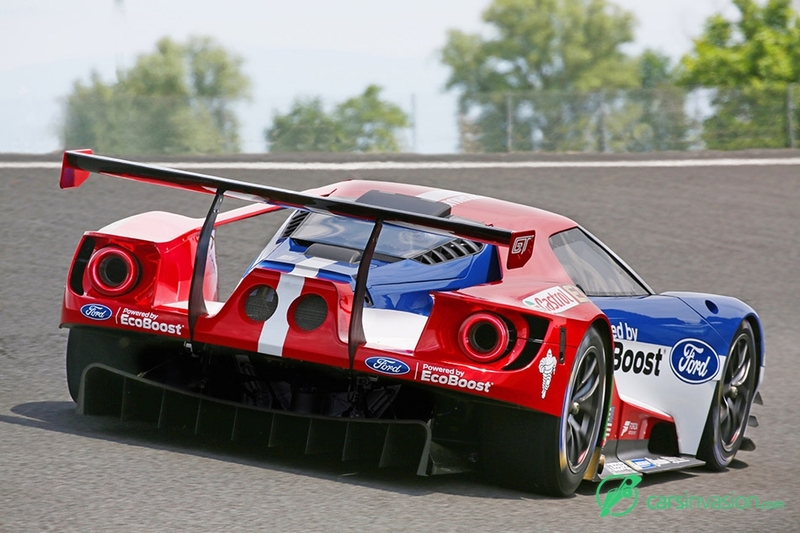 Joining Ford in this project are Multimatic Motorsports, Roush Yates Engines, Castrol, Michelin, Forza Motorsport, Sparco, Brembo and CGRFS. 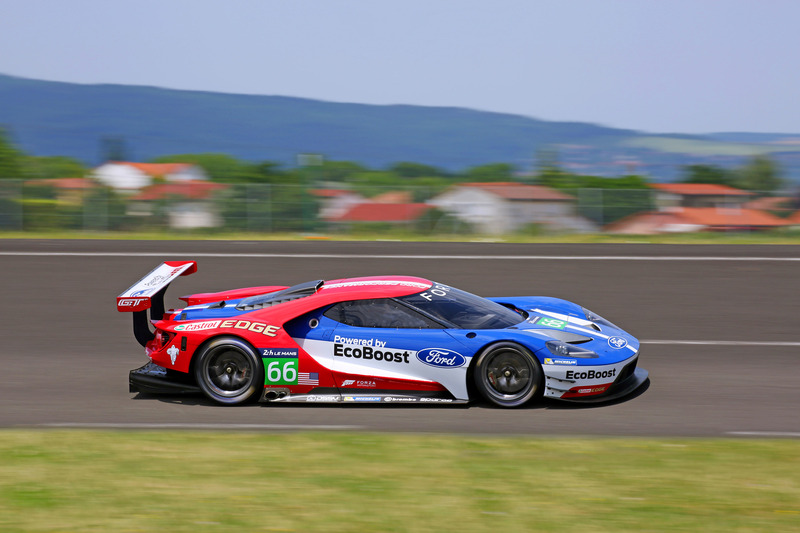 The racecar has undergone extensive design and testing within Ford and Multimatic, with CGRFS providing input into the development. 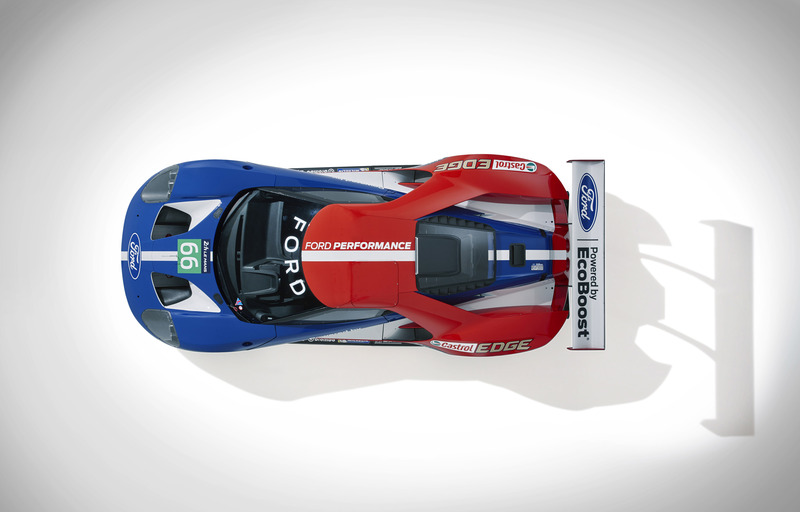 Roush Yates is supporting development of the 3.5-litre EcoBoost V6 - the most powerful EcoBoost production engine ever. 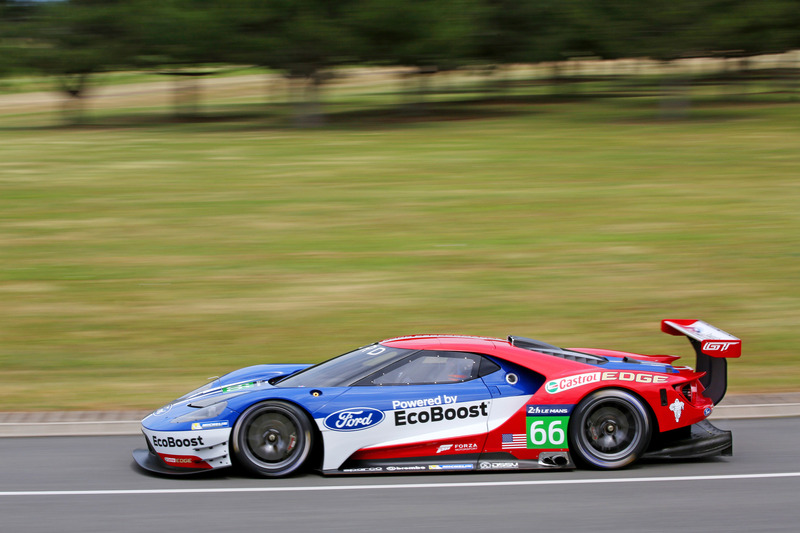 "We've won races and championships, but we've never run Le Mans," said team owner Chip Ganassi. 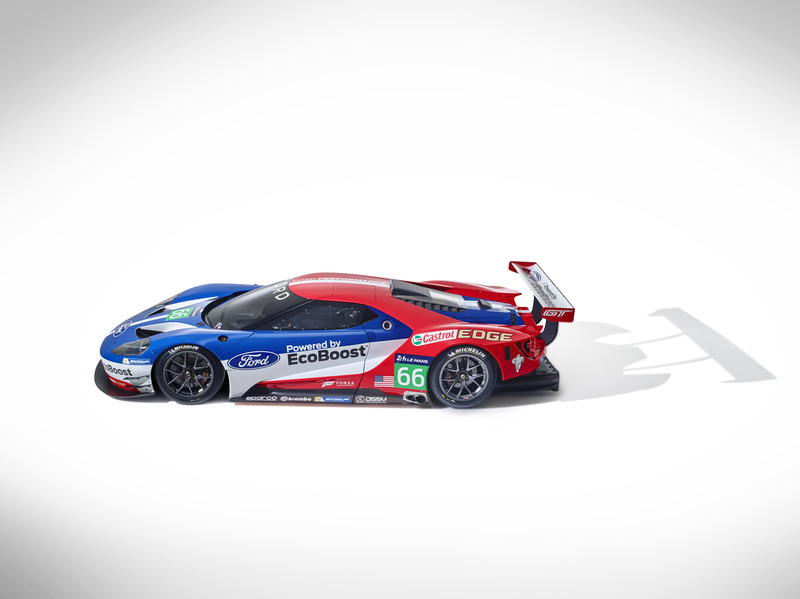 "When presented the opportunity to compete with the all-new Ford GT on the world's biggest sports car stage, and on the 50th anniversary of one of the most storied victories in racing history, how could any race team not want to be part of that? Will it be a challenge? Absolutely, but we couldn't be with a better partner than Ford."